Our staff here at Schmelz Countryside Saab are experts when it comes to tires, and we’re happy to share our knowledge by helping you find the right tires for your Saab vehicle. 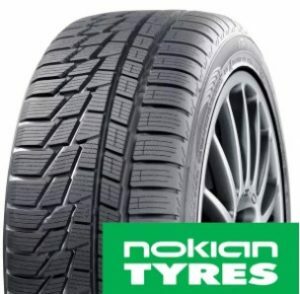 This Nokian is one of our favorites and is a good match for your Saab 9-3 or 9-5 with 16 Inch 17 Inch and 18 inch wheels. Schedule a service appointment with us today, or come down and visit our tire center in Maplewood, MN, and we’ll make sure you get the best value on tires mounted and balanced in the Minneapolis / St Paul Area.